Read the review of KeepVid Pro - a complete package for your video download needs on a Windows computer. Know the websites from which it can download videos and how it handles downloading videos from those websites which don't allow video downloads. With the exponential increase in broadband speed the growth of video media consumption has increased too. These videos are sometimes for entertainment and at other times for some work. I personally make use of YouTube videos for checking out different gym exercises I can try to keep pushing myself to try something new. However, just watching these videos one time is not sufficient if I want to use them in gym, I need them at real time so that I know how to do them right. This makes it necessary to have an offline version of the video. Though YouTube does offer that but it is only for a limited number of days whereas I want them for longer period in case I want to reference them later too. So, the only option for me remains is downloading them and keeping it in my phone. While there are many such tools available in the market, today I am reviewing KeepVid Pro which not only allows me to download videos from nearly 10,000 websites but allows provides me a desktop video recorder which I can use to make videos for my blog post or just to record videos of websites where KeepVid Pro doesn't give a download button. Download and install KeepVid Pro from http://keepvid.com/. Launch the software from the desktop by double clicking the icon or from the Start menu with a single click. 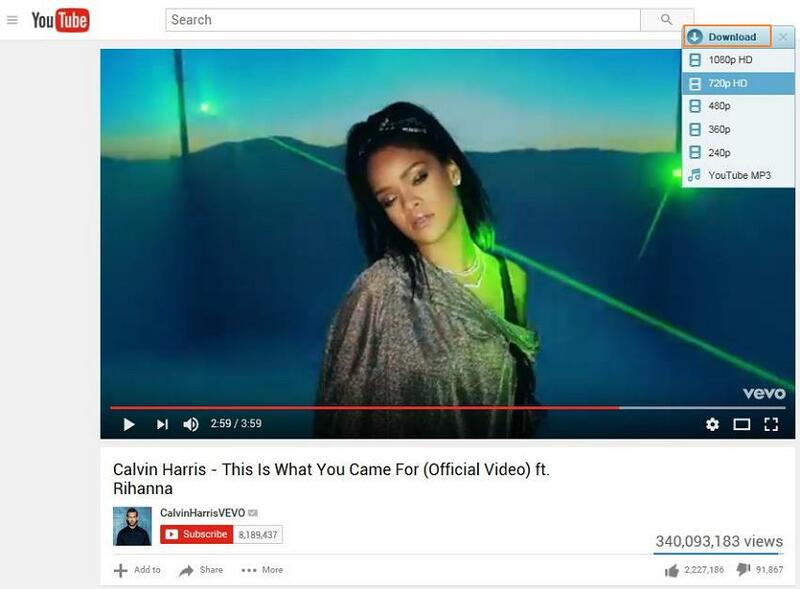 Open the page in which the video is playing. Go to the default tab of the interface and press "+ Paste URL" button. Your video would automatically start downloading and get stored in a default location. If you want you can chose to convert the video type using the "Download then Convert" button present at top right. When a video is playing, automatically on the right side you will be able to see a "Download" button. You will get a drop down when you can select the resolution before the download begins. 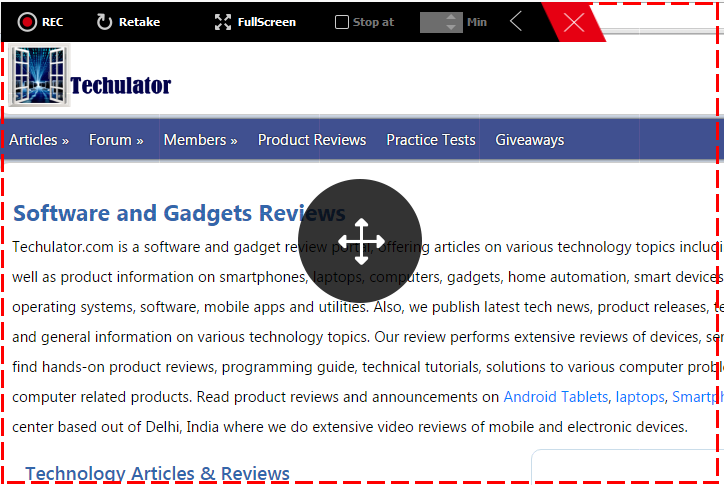 In case your default browsers are not showing the download link, you can use the in-built browser of the software. Just open the "Online Video" and navigate to the video or directly paste the URL of the video. A download link should appear on the video as shown in the image. Click on the Download button, select the resolution and the download will start. Interface of KeepVid Pro is as simple and minimalistic as it can get. On the default tab you get the most commonly used option of copying and downloading the video. 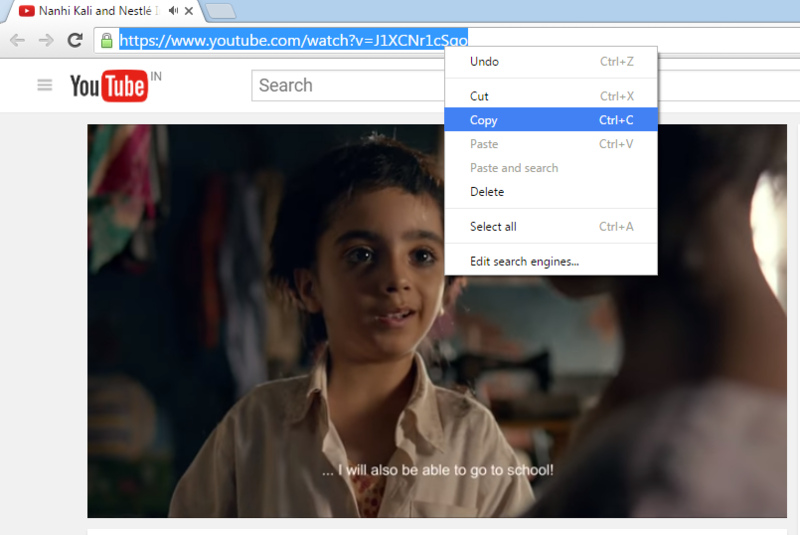 The other tab provides you with a in-built browser which means you don't have to depend on any other software to download the video you want to. There are few other options on the screen too like the Turbo option which can be used if you have slow internet connection to boost the download speed. In case you don't have the download button for any website playing video you can use the Record Video option to do a live recording of the video. A virtual sound driver is installed so as to record the audio too. You can see previously downloaded, downloading and converted videos too in the home screen itself. In case you want to change the default video resolution you can click on the button just on the left side of minimize button to open the Main Menu > Preferences and change the default resolution. On the other tab "Online videos" there is support for more than 10,000 websites. This tab is actually a full fledged browser so you don't even need to open you Chrome or Firefox to navigate to the video before downloading. Just launch KeepVid Pro, go to Online Videos and navigate to the webpage containing the video from here itself. If you are just looking to download the audio, for example a song from YouTube, you can do so by selecting the "Download MP3" option in the drop down of the "+Paste URL" button. This would mean less file size as there will be no need to extracting the audio from the video after downloading it. Once you have started the download you can select what you want to happen automatically once the download is complete. Suppose the download speed is slow and it might take around an hour or two before the video download completes and you want to go to sleep. In such cases you can choose something from the "When task is completed" menu. You can chose to Shutdown, Sleep the computer, Exit KeepVid Pro or Do Nothing (selected by default). There are 150+ formats supported for conversion in KeepVid Pro. It means no need for a separate software to convert the video after download. Just select "Download then Convert" option shown above in the article you have the video/audio format file you want on task completion. While this feature is there to record any live streaming you are watching or any video from a webpage from where KeepVid Pro is not able to download videos directly, you can also use it to make your own tutorial sort of videos. A virtual sound card is installed to record audio separately and later merged it with video. You can also customize the field of vision for the recording. It can be extended to full screen too. 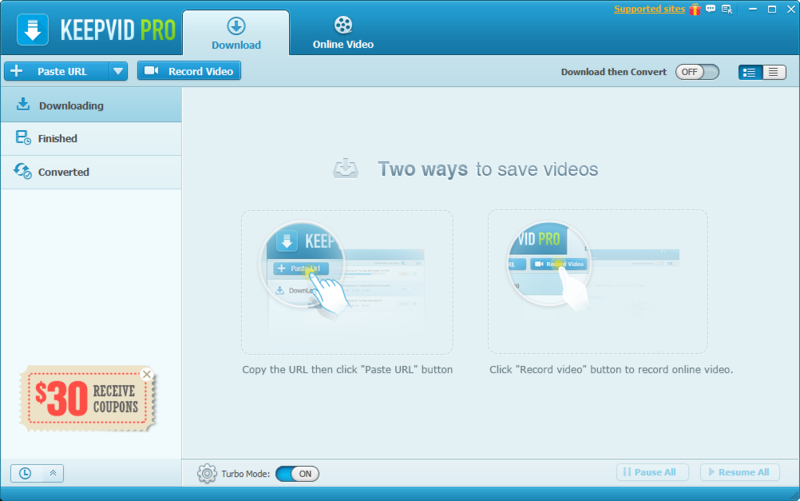 KeepVid Pro is quite an handy software to download videos from quite a number of known and lesser known video websites. You can even record live broadcast using the screen recorder it has. Practically this gives you the power to record or download anything that is playing on your desktop. We have to agree that this is quite a handy software to have on your computer. A mobile version of this would just be as useful considering that nowadays we spend more of our time with our hand held devices rather than our desktop except when in office. All in all, KeepVid Pro is definitely worth the software to invest your money in. Some videos we need to see more than once and to have that offline version of our favorite video, KeepVid Pro is the perfect tool. Simple and minimalistic interface which takes only a minute to explore and understand. Organized library record keeping by the software. You can easily find the download in-progress, downloaded and converted videos. Integrated video converter and post task completion auto action are a step forward in automation in category of such software. Multiple methods for download makes sure that you are able to download the video somehow for sure. While the time of writing this, the integrated Online Videos browser was found to be of too old version. Due to this it become useful for majority of the video downloading websites. 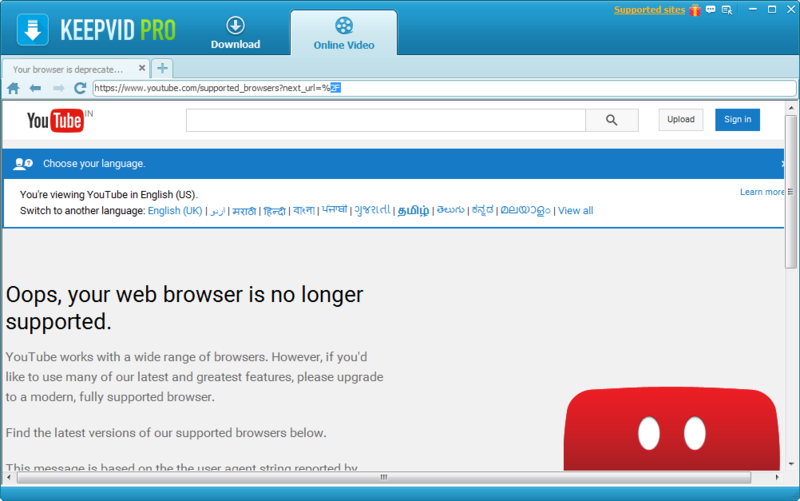 On YouTube we got "Your browser is deprecated" message. Recently I found out about Acethinker Video keeper. So far I had the best experience since its easy to use and downloading videos from different websites is easy. By the way I am also using Mac. I think you can also find it helpful .